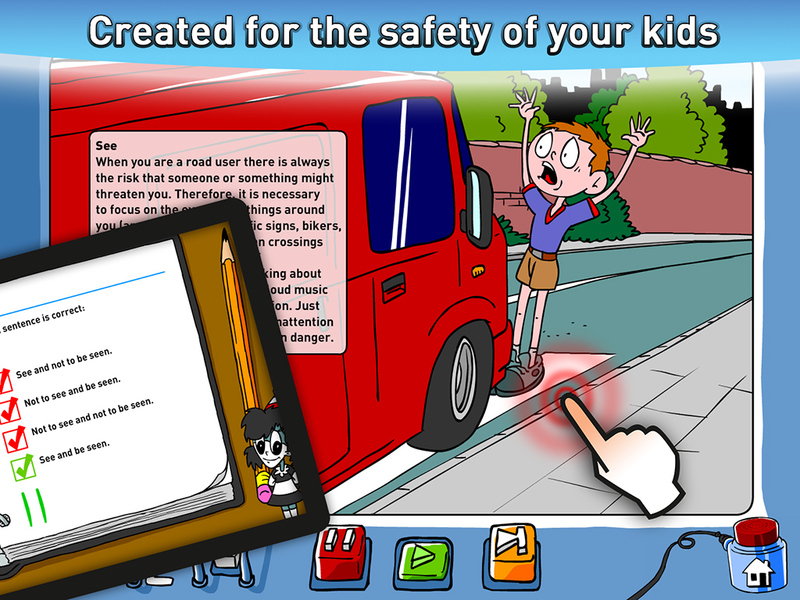 Presented in an entertaining and informative way, this animated interactive traffic education app for your tablet and phone offers a wealth of information on different traffic dangers. 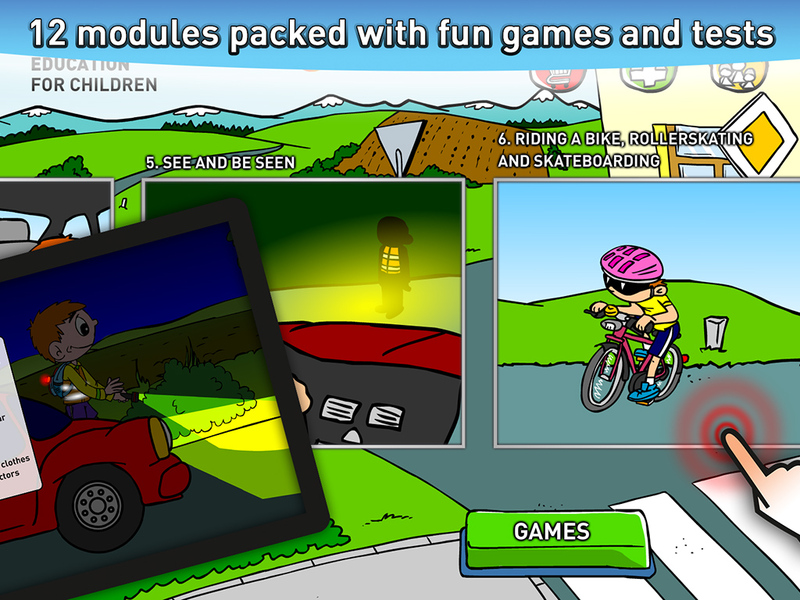 It is an application full of games and tests. 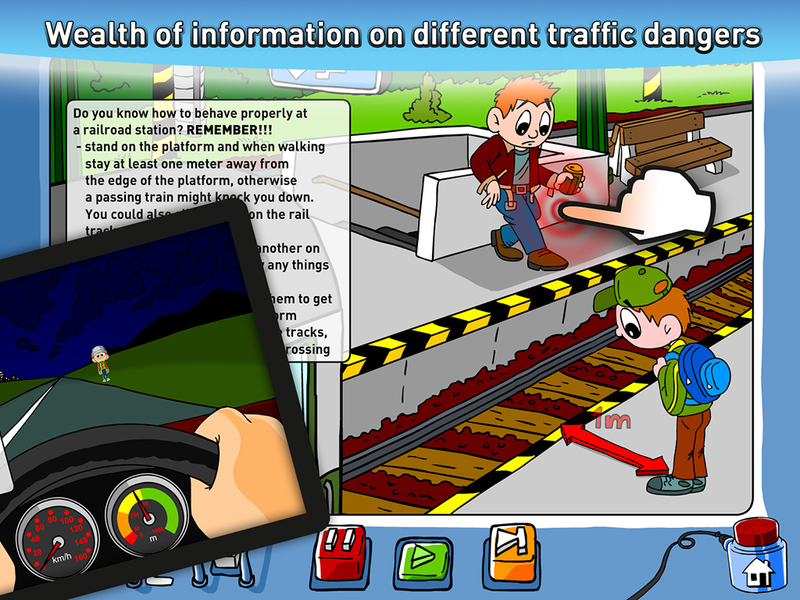 The figures of Zebra Crossing and Traffic Line, whose voices are dubbed by native speakers, will keep you company throughout as many as 12 modules telling you everything about crossing the road, behaving in a car, seeing and being seen in heavy traffic, riding a bike, traveling by train, dangers lurking on the railroad and much more. WE WOULD LIKE TO REMIND USERS THAT THIS PARTICULAR APPLICATION IS DESIGNED ONLY FOR COUNTRIES WITH RIGHT-HAND DRIVING. 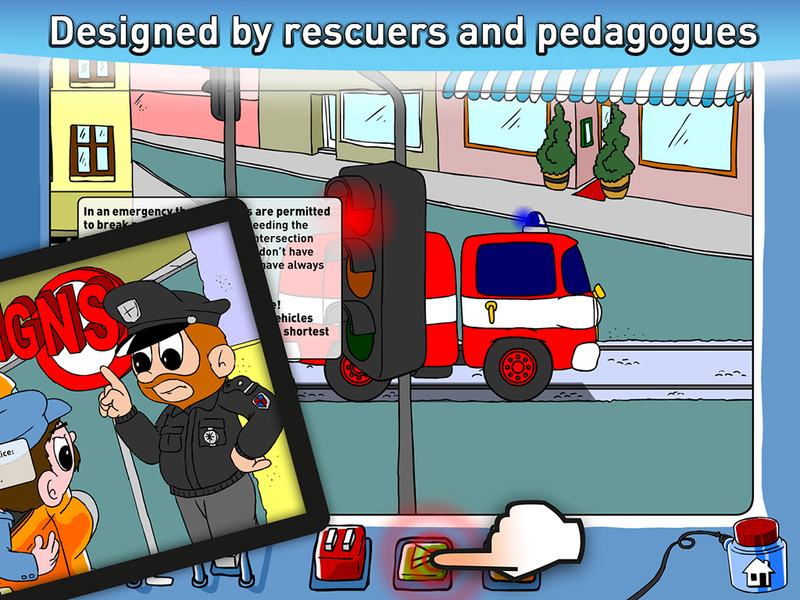 By purchasing this product you will also support the development and production of other excellent educational applications known as "Animated First Aid" and "Young Rescuer". 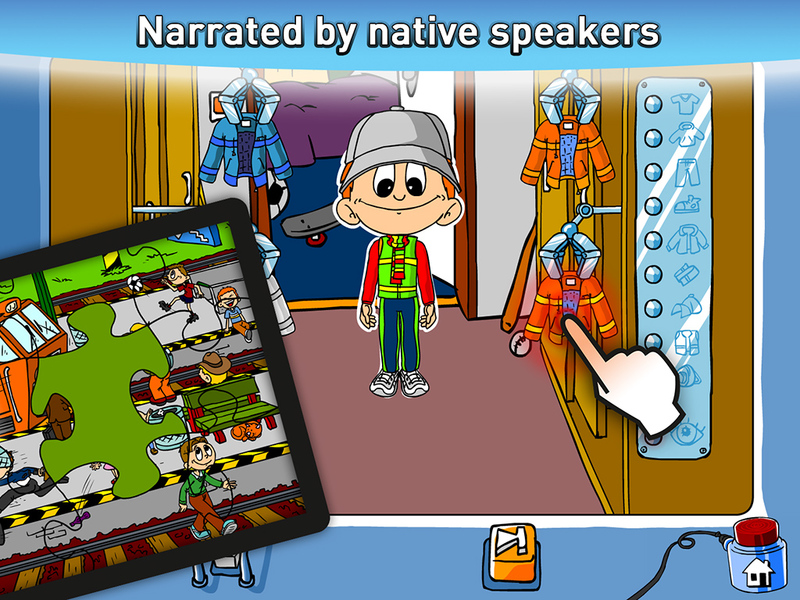 Full version offers more than 90 minutes packed with original animations and commentaries and almost 20 educational games.